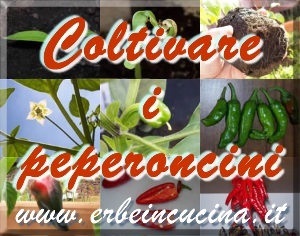 It's time to protect the plants from the winter, before the frost could damage them. The easiest way to protect the plants is to bring them indoor. This is necessary for tropical plants, and can help many others. Bring indoor: lemon verbena, ginger, turmeric. Chives could be bring indoor too, to harvest it all winter long. Anyway, do not repeat this treatment every year or the plant will suffer. 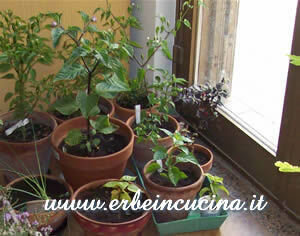 Chili pepper plants could be brought indoor too, to survive until spring. See also: Chili peppers during winter. Mulching can protect roses, camellia, sage and other shrubby plants. Mulch is a layer of organic material (grass, leaves) to protect the plants from frost. You can also apply a mulch to protect lemon grass. The mulches should be removed in late winter or spring.